It's not always possible to eat fish every day, nor would you probably want to. One easy way we add omega 3 to our diet is to eat Soy and Linseed bread, as linseed is one of the highest sources of omega 3. Canola oil is also high in omega 3 so we use margarine with canola oil in it. Although olive oil and rice bran oil are good to cook with, we also have canola oil as a choice. We also take fish oil capsules when we remember, not that David is in particular need of a diet high in omega 3. Finding simple ways like these to add omega 3 to our food means we don't have to think about it much, it's just part of our daily routine. It's good to skip the meat and have a vegetarian meal regularly, which I'm so grateful my husband doesn't mind. 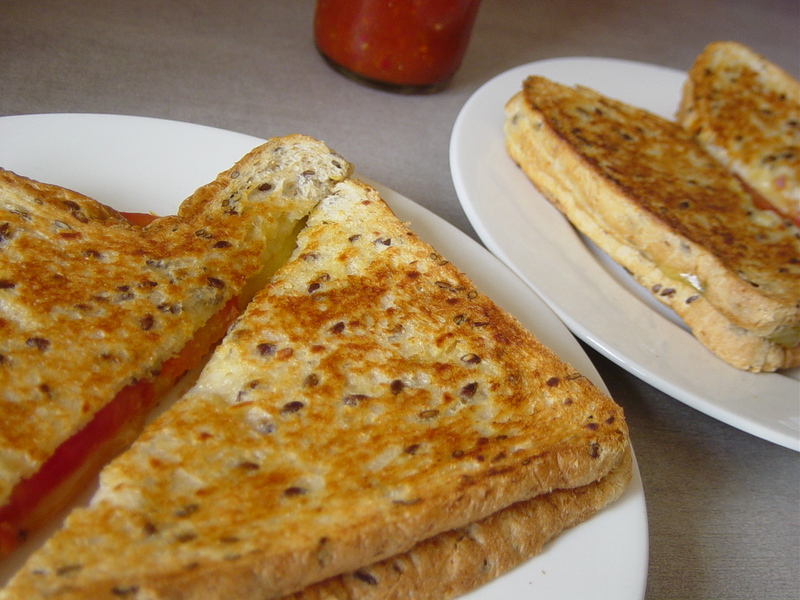 Today we had toasted cheese and tomato sandwiches for lunch which were spiced up with our Awesome Sauce! So we add these into the Calorie King, as well as the daily exercise we've started doing, to work out your daily calorie intake. Yes, we are now on a diet and exercise regime, which is well overdue - the final straw being the Wii Fit told me I have now crept over into 'obese', WTF! Diet time!!! !